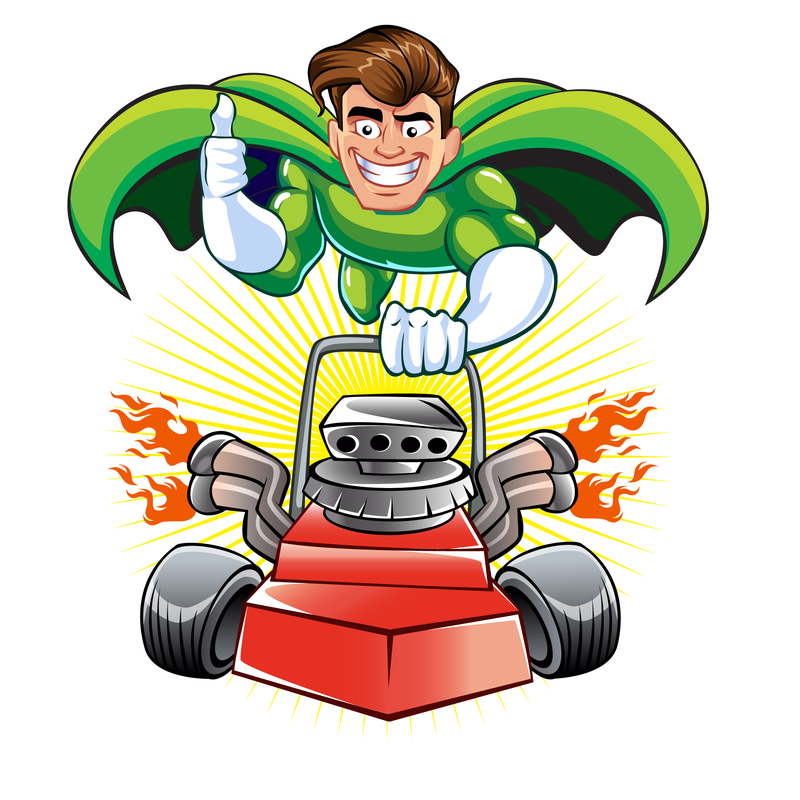 Are you a Lawn Hero? Everybody knows a friend with a beautifully green lawn. What less people know, is that fertilizers, pesticides, and herbicides don't always stay on your lawn. Stormwater runoff washes away these chemicals and pours them back into local streams, rivers, and ponds. 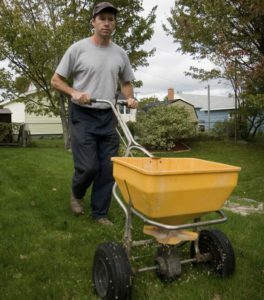 Excess fertilizers and pesticides that are applied to lawns and gardens can wash off in a rainstorm and pollute waterways. In addition, yard clippings and leaves can wash into stormdrains and contribute nutrients and organic matter to streams. Follow the tips below to become a Lawn Hero! First of all, it's time to get tested. Getting an inexpensive soil test done through through UMass Amherst's Soil Testing Lab. Use the detailed soil results to modify your normal fertilizer application routine. Fertilizers are made up a ratio of nutrients, such as nitrogen (N), phosphorus (P), and potassium (K). This is expressed on bags of fertilizer as the N-P-K ratio. When it rains, these nutrients are carried by stormwater into the nearest stream, river, or other water body. Too many nutrients on your lawn will end up in local waterways and can cause algae to grow, which can deplete oxygen and hurt aquatic wildlife - and make boating, fishing and swimming unpleasant. 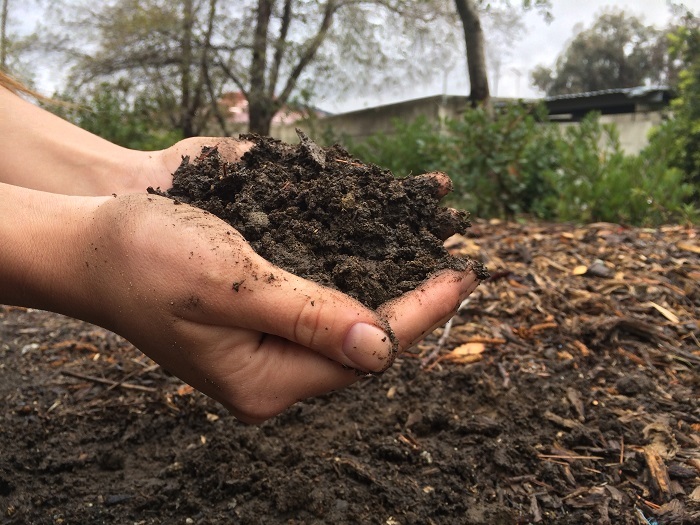 Follow the form instructions below to collect soil samples, order a soil test, and interpret your soil test results to become a lawn hero today! Step 1. 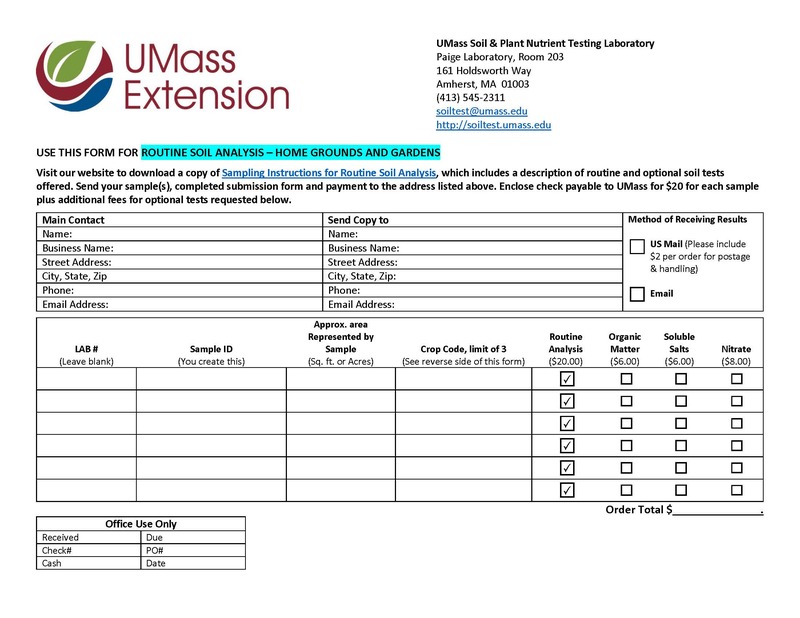 Click the image above to download a Umass Soil Testing Lab Order Form. Step 2. Click the image above to download a Step-By-Step Guide to Sample the Soil in your Lawn. Step 3. 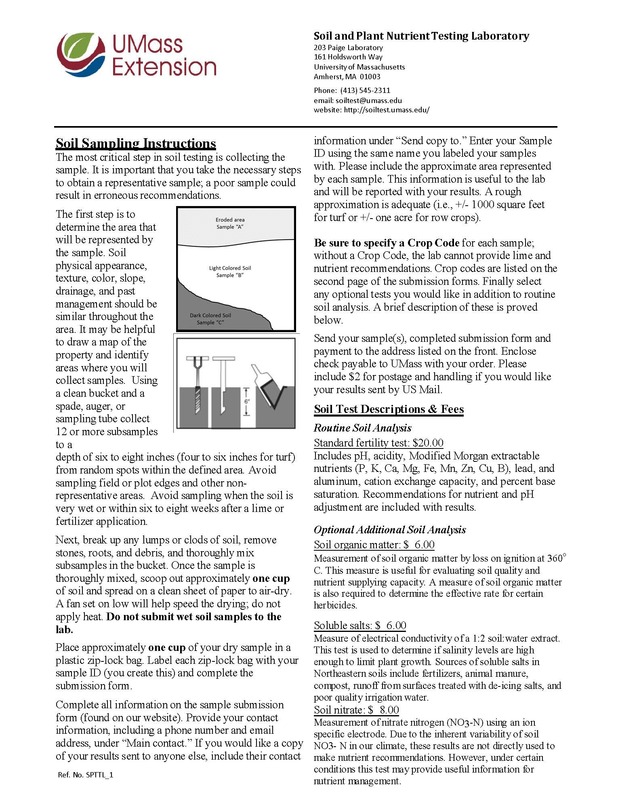 Click the image above to download instructions on interpreting your soil report, as well as viewing an example soil test report! Step 4. 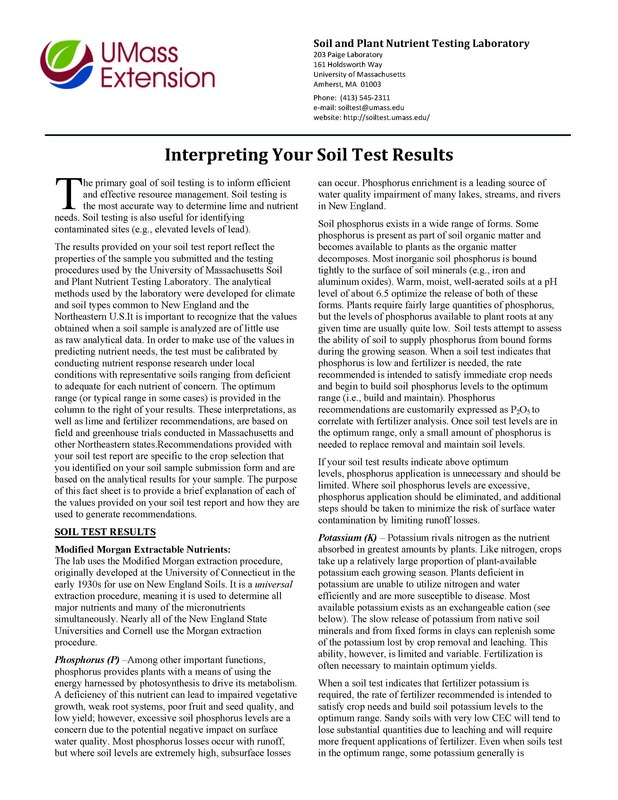 Click the image above to download instructions to properly fertilize your lawn based on your soil test results. Understand the chemicals you put on your lawn. Never fertilizer before a forecasted rainstorm. Use pesticides and fertilizers sparingly. Always follow directions and never add more than the directions call for. Make sure to use fertilizer with no or low phosphorus, as phosphorus causes algae growth. 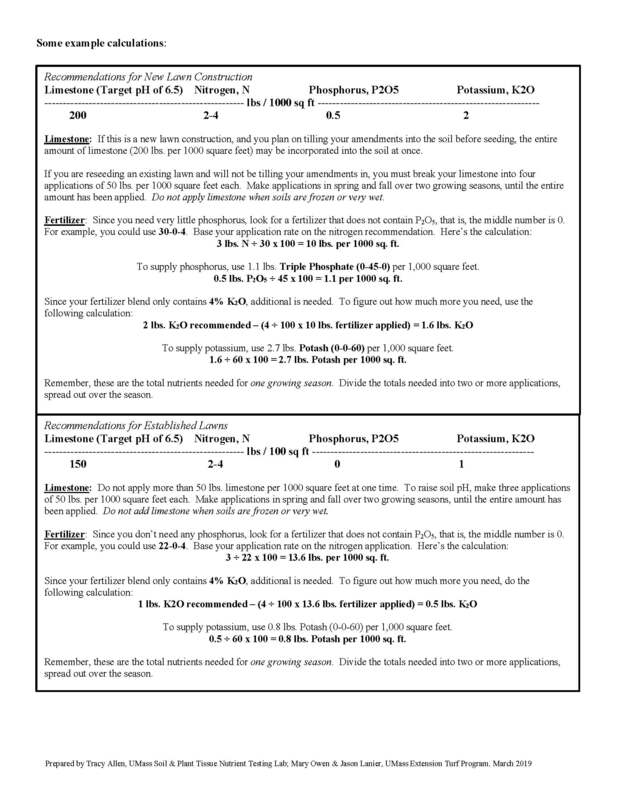 Your UMass Amherst Soil Test Results will help you understand the correct ratio of fertilizer needed for your unique lawn and soil. 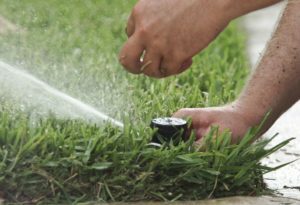 If you are currently using excessive fertilizer, the grass in your lawn can't use all the fertilizer you applied, and so it waits, unused, until rain rinses it all away. Once the runoff flows into the local water systems, it becomes a pollutant that can badly damage local aquatic habitat and cause harmful algal blooms. Be a good steward of yard waste. Don’t leave yard waste in the street or sweep it into storm drains or streams. Either bag it up for town pickup, take it to your local landfill, or re-use it as compost or mulch. 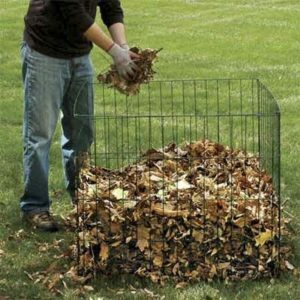 Create a compost pile with your yard waste and use the nutrient rich humus in your gardens or potted plants. Use grass clippings or shredded leaves as mulch around shrubs and trees. Mulch helps to suppress weeds and retain moisture. Mulch also contributes nutrients to the soil by gradually breaking down over time. Cover piles of dirt or mulch being used in landscaping projects to avoid runoff. Think about hardscapes - walkways, patios, and driveways. Traditional asphalt and concrete contribute to stormwater runoff by preventing water from soaking into the ground. Rain water flows over these impervious surfaces, collects pollutants along the way, and flows into storm drains and streams. 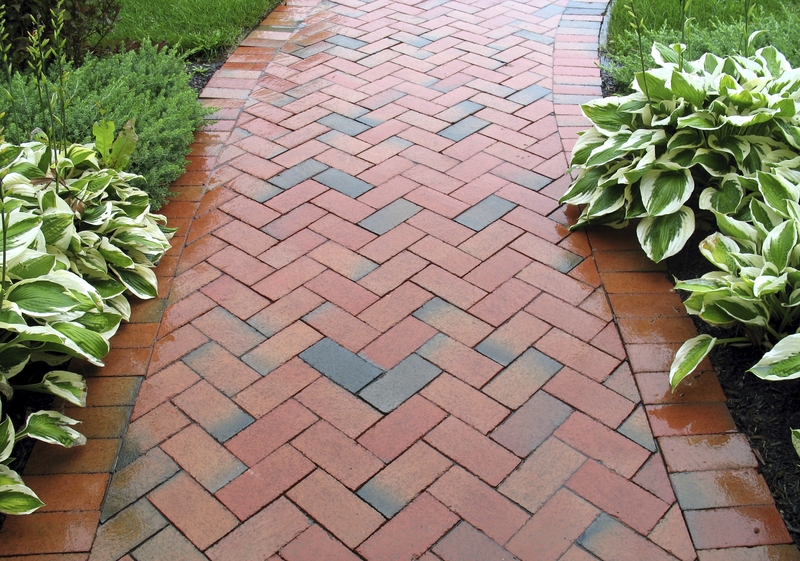 Use permeable materials such as pavers, bricks, crushed stone, and mulch when building walkways, patios, and driveways. Permeable materials allow rain and snow melt to soak through them, thereby decreasing stormwater runoff. Know where your runoff is going. Place a rain barrel under your downspout to easily capture rain for use around your property. A one inch rainfall on a 1,000 square foot roof yields approximately 600 gallons of water. 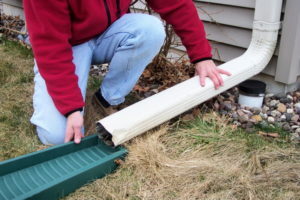 Redirect downspouts so that water flows into grass or shrubs instead of onto a driveway or sidewalk. Install a dry well in your yard to capture excess runoff. Rain gardens and grassy swales are specially designed areas planted with native plants that provide a place for runoff from parking areas, driveways, walkways and roofs to collect and slowly filter into the soil, rather than flow directly into storm drains, ponds or lakes. Vegetated filter strips are areas of native grass or plants created along roadways or streams. They trap the pollutants stormwater picks up as it flows across driveways and streets. 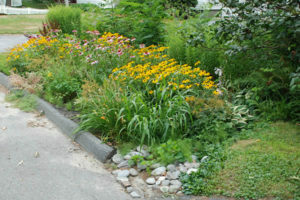 Click here for more information on building a rain garden.